This is a guest post by Marcelo Jenny is Professor for Political Communication and Electoral Research at the University of Innsbruck. Like many elections the results of Austria’s legislative elections on October 15th were a mix of expected and surprising elements. Among the surprising bits was a strong increase in electoral turnout from 74.9 %in the last legislative elections of 2013 to 79.4 %on Sunday. This is also well above the 74.2 %turnout in the final round of Austria’s presidential elections in December 2016, when the former long-time chairman of the Green party, Alexander van der Bellen, won against rival candidate Norbert Hofer from the Freedom Party (FPÖ) and was sworn in in January 2017 as the country’s first president not belonging to one the traditional government parties – the Social Democratic Party (SPÖ) or the christian-democratic People’s Party (ÖVP). The president will be particularly hurt by the fate that befell his former party shortly after it celebrated its biggest ever electoral victory. Frustrated by intra-party conflict with young activists and senior MPs, who failed to be renominated as candidates, its female party leader resigned and was followed by two women as co-leaders but could not stop the Green’s downward slope in the polls. The Greens dropped from a vote share of 12.4 % in the last election in 2013 to 3.7 % and, thereby, also out of parliament while the new party ‘List Pilz’ led by renegade Green MP Peter Pilz, parliament’s most senior MP, successfully crossed the 4% threshold with a vote share of 4.4 %. Final vote and seat sharesfor the parties will be announced on Thursday after the last small batch of postal votes has been counted, but only minor changes are expected to preliminary results published by the Ministry of the Interior (https://wahl17.bmi.gv.at/). The happy winner of these elections is the ÖVP’s young party leader Sebastian Kurz (just 31 years old) who came into office in spring of this year, rebranded the party within weeks and successfully translated his personal popularity into a 31.5 % vote share (24.0% in 2013). He jumped from heading the third largest party in the polls to becoming leader of the largest parliamentary party. The SPÖ was relegated to second place with 26.9 % (26.8 in 2013), while the right-wing FPÖ came in third by a small margin with 26.0 % (20.5). The liberal party NEOS remains in parliament with 5.3 % (5.0 in 2013). Former Minister of Foreign Affairs and Integration Sebastian Kurz is on course to become the youngest leader of a government worldwide. Most observers expect the ÖVP to form a coalition with the FPÖ, and even if he wanted president Van der Bellen will be unable to do much about it. By political convention the president tasks the leader of the largest party with forming a new government. President Van der Bellen has not done that yet. He will talk with the leaders of the five parliamentay parties first. By convention the current government resgined after the election and has been asked by the president to keep serving until the new government is sworn in. How long it will take to form a new government coalition is among the most speculated topic right now, but once Kurz returns to the president’s office equipped with a coalition agreement with the FPÖ, few expect Van der Bellen to take a stand against it. The electorate has decisively moved to the right in this election and the ÖVP’s appetite for a renewal of the coalition government with the Social Democratic Party is at an all-time low. An alternative coalition between SPÖ and Freedom Party would have a nominal parliamentary majority but the Social Democratic Party is deeply split on that idea, making such an outcome very unlikely. In the coming weeks and perhaps months Van der Bellen will be closely watched and compared at each step with his immediate predecessor Heinz Fischer (who served the last two terms 2004-2016) and most of all with another former president, Thomas Klestil, who strongly opposed the formation of Austria’s first coalition government between the People’s Party and the Freedom Party in 2000 due to its anti-European stance. Klestil expressed his opposition to including the FPÖ in government very publicly and refused to accept two of its ministerial candidates. Reactions from other EU member states were likewise strongly negative and even triggered sanctions against Austria. Eventually, everybody emerged bruised from this episode. The times have changed and nobody expects something similar to happen again this time around. Eurosceptic parties are more widespread today and Sebastian Kurz’ restrictive position on immigration, very similar to the position held by the FPÖ, is also popular among Central and Eastern European governments. 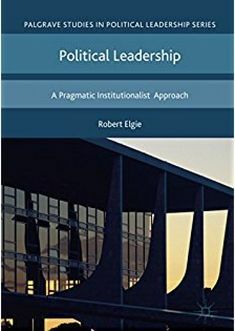 Taking the current domestic and international context into account, president Van der Bellen’s leeway in making a personal imprint on the next government is very small. Marcelo Jenny is Professor for Political Communication and Electoral Research at the University of Innsbruck. His research focuses on electoral behaviour, election campaigns and party competition, parliamentarism, content analysis and sentiment analysis as well as political communication. This entry was posted in Austria, Europe and tagged Alexander Kurz, Alexander van der Bellen, Austria, FPÖ, government formation, ÖVP, parliamentary elections, SPÖ, Van der Bellen on October 19, 2017 by Philipp Köker. On June 11, Kosovo held early-parliamentary elections, the third since the country declared its independence in 2008. The snap elections were triggered by a vote on a motion of no-confidence in early May against the government of Prime Minister Isa Mustafa, who is also the leader of the Democratic League of Kosovo (LDK). The motion was presented by three opposition parties, Nisma (Initiative), AAK (Alliance for Future of Kosovo) and VV-Vetëvendosje (Self-determination) and was supported by the governing coalition partner, PDK (Democratic Party of Kosovo). The failure to pass the Agreement on Border Demarcation with Montenegro, which is also a key condition for visa liberalization for citizens of Kosovo for the EU Schengen zone, is widely attributed as the main cause for the fall of the government. The break-up of the PDK/LDK coalition and support for the motion was justified by Prime Minister Mustafa’s inability to progress on key issues in the European integration process. PM Mustafa and the LDK blasted the PDK’s move as a political manoeuvre designed to create early elections. Going into the elections, two major coalitions were formed: the first was between the LDK, the AKR (Alliance for New Kosovo) and the newly established political party ALTERNATIVA. The second was between PDK, AAK and Nisma. There were three major candidates for Prime Minister and the elections were largely focused on their CVs and programs: the candidate from the PDK coalition was Mr. Ramush Haradinaj, the candidate from the LDK coalition was Mr. Avdullah Hoti (out-going Minister of Finance), and the candidate from Vetëvendosje was Mr. Albin Kurti. Mr. Haradinaj and Mr. Hoti belong to the centre-right political parties while Mr. Kurti’s was the only candidate from the left party. The organization of elections received praise from local and international monitors as free and fair and without any significant incident. Preliminary results from the Kosovo Central Election Commission (CEC) show that the voter turnout was over 40%, and the support for parties/coalitions was as follows: 34% voted for the PDK coalition (around 39 seats); 27% for Vetëvendosje (around 31 seats); and 26% for the LDK (around 30 seats). These results showed that forming a government will be a challenge. The PDK has the right to try to form the government first. VV and LDK have, until now, fiercely opposed any idea of a coalition with PDK. The PDK-coalition could potentially form a coalition with the 20 members of the minority communities, but what complicates matters is that the Serbian President Vucic has openly spoke against Mr. Haradinaj becoming a Prime Minister, which means the Serbian members of the Kosovo Parliament would most likely refuse to enter into coalition with PDK-coalition provided that Mr. Haradinaj is the candidate for PM. Another potential scenario is that the second party gets a try at forming the government, which would be VV. To better understand the potential that the situation holds for institutional crisis or political stalemate, the 2014 election context is useful. On 7 May 2014 the Kosovo Parliament decided to dissolve itself and the next day the President of Kosovo decreed the early elections in June. The results showed PDK was the winner of the elections, with 30% of the votes, LDK was ranked second with 25%. A day after the election results were announced, other parties from Kosovo political landscape created a post-election coalition, called VLAN, which represented about 55% of the votes and claimed the right to form the government. VLAN refused to discuss any cooperation with PDK. This situation created a political stalemate that lasted for six months during which time no new government could be formed. It took two decisions from the Constitutional Court of Kosovo to end the gridlock and the one dealing with the competencies of the President is of particular relevance in the context of this article and the blog. According to this decision (Case No. K0103/14) the President “proposes to the Assembly the candidate for Prime Minister nominated by the political party or coalition that has the highest number of seats in the Assembly” and “The President of the Republic does not have the discretion to refuse the appointment of the proposed candidate for Prime Minister”. However “In the event that the proposed candidate for Prime Minister does not receive the necessary votes, the President of the Republic, at his/her discretion […] appoints another candidate for Prime Minister after consultation with the parties or coalitions […].” This decision gives the President a potentially key role to play in government formation and this role may be important in the formation of the next government. The Constitutional Court subsequently ruled that the winning party or coalition has the exclusive rights to propose the candidate for the Speaker of Parliament. Following the 2014 elections, these decisions made the implementation of the VLAN coalition impossible and the LDK went on to form a coalition with the PDK, amid high tensions and fierce opposition, including from within the LDK members of Parliament, some of whom refused to vote for their own leader as Prime Minister. The incoming government faces some very unpopular decisions, including the ratification of the agreement for the border demarcation with Montenegro (AAK, VV and Nisma strongly opposed this agreement), the establishment of the Association of Serb-majority Municipalities, which comes from the Brussels dialogue for normalization of relations between Kosovo and Serbia (VV strongly opposes this), and the beginning of the work and potential arrests from the Specialist Chambers and Specialist Prosecutor’s Office which can produce a situation that will be very difficult to manage for the next government and could could create instability. More importantly, Kosovo citizens are losing patience and are increasingly becoming frustrated with the lack of results especially when it comes to the European integration process as they remain the only citizens in the Balkans without visa liberalization with the EU Schengen zone. With this in mind the next government needs solid support in the Parliament and credibility and legitimacy in the public’s eyes. In terms of procedure, political parties are awaiting the certification of results by the Central Election Commission (CEC) and the publication of the list of the next members of Parliament. Following this, the President will convene the first meeting of the Parliament and from that moment on a time timetable for government formation begins. Another election cannot be ruled out. The election created a political earthquake that will change the political landscape for some time to come. The main change was the increase in support for the Vetëvendosje party, which rose from 13.59% of votes in 2014 elections to 27%. Vetëvendosje is a controversial political party, promoting the unification of Kosovo with Albania and using teargas in the Parliament as a method of protest. But, support for VV, especially from young voters, is a demand for a change and a sign of protest against the political establishment. So, unlike the onion of DW’s Adelheid Feilcke, that relies heavily on Kosovo stereotypes and argues that that nationalism won in the snap election, I believe that the results generally, as well as the votes for individuals candidates, show the potential of Kosovo’s democracy. So the winner, if we need to name one, is civil society. This entry was posted in Europe, Kosovo and tagged Kosovo, parliamentary elections on June 19, 2017 by Robert Elgie. Parliamentary elections are readily perceived as a new beginning. Not so in Montenegro. In the last years the dominant figure in Montenegrin politics was one person: Milo Đukanović. Unlike any other politician in this region, he remained on the forefront of political decision-making for now 25 years and switched between being prime minister and president. His political career and his ideological adaptation mirror the development of the country since the end of communist rule. Once again this parliamentary election was not about new ideas or a vision for Montenegro. It was a medley of a struggle for survival by the ruling elite, accusations of election fraud by the opposition, and pressure by external actors (namely EU, NATO and Russia). The overarching question was rather simple, carry on as before or choose a new path? Based on these introductory remarks, I will in the following post, briefly describe how Milo Đukanović shaped the course of his country in the last 25 years, the specifics of the 2016 campaign and election and its consequences for the country. To give you the executive summary of the election: Đukanović’s party won the election but without securing the absolute majority in parliament. Milo Đukanović has and had formative influence on the democratic practice, the political process and the development of the society in Montenegro. His political career started after the end of communist rule and in the beginning he was a close ally of Slobodan Milosevic. He served as Prime Minister from 1991-1998, from 2003-2006, from 2008-2010 and since 2012. In between he was President of the Republic from 1998-2003 (Prime Minister Montenegro 2016). His personal dominance was not clearly evident right from the beginning. Contrary to Croatia or Serbia, Montenegro was dominated by a so-called ruling oligarchy (Vukicević and Vujovic 2012, 56). Members of this oligarchy were e.g. Momir Bulatovic, Svetozar Marovic and most certainly also Milo Đukanović(see Banovic 2016). Đukanovićremained the dominant force since then and has changed his political allies and orientation that “(t)oday, he’s a leading voice for EU and NATO integration” (Rujevic 2016). The campaign for the 2016 parliamentary elections was consequently described as choice between two directions: 1) EU membership with NATO Integration and thus a clear orientation towards the West or 2) to become once again a “Russian Colony”, as Đukanovićdramatically put it in one of his pre-election rallies (see for reports e.g. Deutsche Welle 2016). This harsh contrast provides a clear choice that does not necessarily exist beyond the electoral campaign and the blurry lines of everyday politics. And even more importantly, it diverts the attention of the citizens. The way towards the West and the possible accession of NATO is a difficult topic for Montenegro: (U)p until 1997, Montenegro shared Serbia’s fate under the authoritarian Miloševićregime“( Banovic 2016, 290, see also Vujadinović 2002, 14). This fate included also the shared experience of the NATO bombings on the then Federal Republic of Yugoslavia. Hence, neither the economic development in Montenegro nor the level of corruption were an important topic in the campaign as one would expect. One further reason for this obvious neglect of a serious evaluation of the political development of Montenegro is the division among oppositional forces. A 3% threshold is necessary to gain parliamentary representation and 34 parties (RFE/RL 2016) were competing in this parliamentary election. Within this context, on October 17, Montenegro elected a new parliament. The arrest of allegedly Serbian paramilitaries on election day was only one of various events that arguably influenced the election. Some of these event, like the arrest, looked from the outside sometimes as propaganda moves by the government to gain support for its course toward the West. On an important side note: Serbian influence on Montenegrin politics is a very sensible topic and as author I would like to make it clear that any assessment of the substance of these motivations behind the arrests is not possible. It is also not clear if this event influenced the election substantially. Several polls – although I could not confirm their reliability – were already showing a significant lead for Đukanović’s Democratic Party of Socialists (DPS, Demokratska Partija Socijalista Crne Gore) over the last few months. This expectation was confirmed on Sunday with a 41% majority, which will result in 36 seats in parliament (RFE/RL 2016) for DPS. This result forces the DPS to form a coalition government and include one of the opposition forces to gain the absolute majority in the 81-seat parliament. But the opposition is reluctant to accept the results of the election and questions its fairness. They accuse government that the arrests in the morning of the Election Day were made merely for propaganda. Another serious issue – that goes right to the core of democratic elections and free speech – was the blocking of Viber and What’sApp on Election Day. This was also part of the concerns described by the OECD observation team. This team declared that the 2016 parliamentary election was “held in a competitive environment and fundamental freedoms were generally respected” (Stojanovic 2016). But members of the observation team – foremost Marietje Schaake (member of EU parliament) criticized the limitation of freedom of speech by blocking main tools to communicate (Stojanovic 2016). As the official report of the OECD will only be published in a few weeks, it remains unclear how substantiated the claims of electoral manipulation are. But, one thing is for sure; these claims will not make the coalition building for Đukanovićand the DPS easier. Banović, Damir (2016): Montenegro, in: Fruhstorfer, Anna, and Michael Hein (eds): Constitutional Politics in Central and Eastern Europe, 289-306. Vujadinović, Dragica. 2002. “Predgovor.” In Između autoritarizma i demokratije. Edited by Edited by Dragica Vujadinović, Veljak Lino, Vladimir Goati and Vladimir Pavićević, 9–17. Beograd: Cedet. Vukičević, Boris, and Vujović, Zlatko (2012): Ustavni i političkopravni okvir parlamenta u Crnoj Gori 1989–2012, in: Demokratske performance parlamenata Srbije, Bosne i Hercegovine i Crne Gore. Edited by Slaviša Orlović, 55–76. Podgorica/Beograd/Sarajevo: Faculty for Political Sciencies in Belgrade, Sarajevo Open Centre and Faculty for Political Sciencies in Podgorica. This entry was posted in Europe, Montenegro and tagged Montenegro, parliamentary elections on October 20, 2016 by Anna Fruhstorfer. After the Serbian President Tomislav Nikolić dissolved the National Assembly (Narodna skupština) in March and called for early elections, this election was characterized as necessary for EU accession, but also as a political gamble by Prime Minister Vučić. Serbia’s president has an important role in the dissolution of parliament and the election of a new prime minister after a vote of no confidence. Art. 130 of the constitution reads as follows: “The proposal for the vote of no confidence in the Government or the member of the Government shall be accepted by the National Assembly, if more than a half of the total number of deputies votes for it. If the National Assembly passes a vote of no confidence in the Government, the President of the Republic shall be obliged to initiate proceedings for election of the new Government. If the National Assembly fails to elect the new Government within 30 days from the passing of a vote of no confidence, the President of the Republic shall be obliged to dissolve the National Assembly and schedule elections” (Constitution of the Republic of Serbia 2006). The early elections come as sort of a Serbian tradition, as only 2 parliamentary elections in the last decade actually took place at the end of the legislative term of 4 years. The decision of the president was not unexpected and is widely viewed as move to cement the ruling of the Serbian Progressive Party (SNS) and its chair Aleksandar Vučić. President Nikolić is also no stranger in the SNS, as he is one of the founding members of the party. Both politicians have declared a pro-EU stance, but are also controversial figures when it comes to the strengthening of Serbia’s democracy. The main motive for the snap election is widely assumed and pointedly formulated by the following quote: “Vučić may simply […] cash in on his popularity, while it lasts” (Stojanović and Casal Bértoa 2016). However, one further possible explanation why the SNS pushed for early elections should be added: Constitutional amendments in Serbia require a 2/3 majority, and an amendment is absolutely necessary for the accession to the European Union. In particular, “several provisions in the constitution also state that international agreements cannot be in contradiction with the constitution […] (and) does not provide the possibility for the transfer of competences” (Banović 2016). Thus, the goal of Vučić to gain the necessary legitimization for this process could also be one explanation. Furthermore, the EU accession was also the essence of the election campaign. This campaign – after the president’s decision – provided a new experience for Serbian voters, namely the clear concentration on domestic policies and the necessary reforms (public service and the economy) to join the European Union. And apart from two rightwing parties, the Democratic Party of Serbia (DSS) and the Serbian Radical Party (SRS), all campaigning parties were in favor of the EU accession of Serbia. Though, the unexpected acquittal of the leader of the SRS Vojislav Seselj by the International Tribunal for the former Yugoslavia, also revived themes of earlier election campaigns (e.g. the situation of Kosovo) but only shortly. In sum, clear electoral programs were not observable, rather most statements had the character of day-to-day politics and reactions to short-term political situation (Beckmann-Dierkes et al. 2016, 2). The election was held on April 24 in a nationwide constituency with proportional representation. Similar to other countries a 5 % electoral threshold is necessary, however this threshold does not apply for groups representing ethnic minorities. Part of the electoral process in Serbia is the formation of electoral lists. The list “Serbia is Winning”, chaired by Aleksandar Vučić, won a 49% majority. Based on the preliminary election results, the political move of Vučić did not work as expected. As more parties than two years ago seem to have crossed the threshold, the SNS will most probably receive less parliamentary seats (according to the most recent counting 27 fewer seats than in the last term, see MacDowall 2016). After the DSS failed to get the necessary number of votes, protests and accusations of electoral fraud started to gain momentum. A diverse group is now demanding a re-run, among them certainly representatives from the nationalists and right-wing parties but also the moderate social democrat (and former president) Boris Tadić. Because of these protests the electoral commission decided on a re-run in 15 polling stations. The majority of Vučić might increase depending on the results of the partial recount. This recount will most probably show that the DSS/Dveri list failed to reach the 5 % threshold; their – now 13 seats in parliament – will be distributed among the other parties (RFE/RL 2016). Now, with another – probably less stable majority – it remains to be seen whether the new and old prime minister will keep his promises and reform the public sector and try to prepare Serbia for the accession to the EU. Banović, Damir (2016): Serbia, in: Fruhstorfer/Hein: Constitutional Politics in Central and Eastern Europe. From Post-Socialist Transition to the Reform of Political Systems. VS Springer. Beckmann-Dierkes, Norbert; Gogic, Ognjen; Kawohl, Steffen (2016): Vorgezogene Wahlen in Serbien Akteure und Themen. KAS-Länderbericht, in: www.kas.de/wf/doc/kas_44931-544-1-30.pdf?160420120833. Constitution of the Republic of Serbia (2006), in: https://www.constituteproject.org/. MacDowall, Andrew (2016): 5 takeaways from the Serbian election, in: http://www.politico.eu/article/5-takeaways-analysis-from-serbian-election-aleksandar-vucic/ (April 25). RFE/RL (2016): Outcome Of Serbia’s Elections Unclear Until May 4 Partial Repeat Vote, in: http://www.rferl.org/content/serbia-partial-repeat-vote/27706066.html (May 2). Stojanović, Boban and Casal Bértoa, Fernando: There are 4 reasons countries dissolve their parliaments. Here’s why Serbia did, in: https://www.washingtonpost.com/news/monkey-cage/wp/2016/04/22/there-are-4-reasons-countries-dissolve-their-parliaments-heres-why-serbia-did/ (April 22). This entry was posted in Europe, Serbia and tagged parliamentary elections, Serbia on May 3, 2016 by Anna Fruhstorfer.